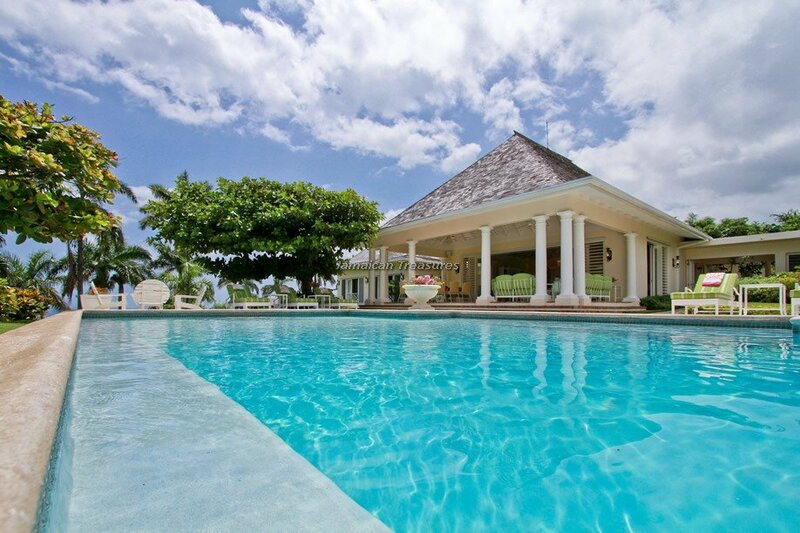 Following Seas at the Tryall Club is a fabulous private villa in Montego Bay, with premier rating among villa rentals in Jamaica. 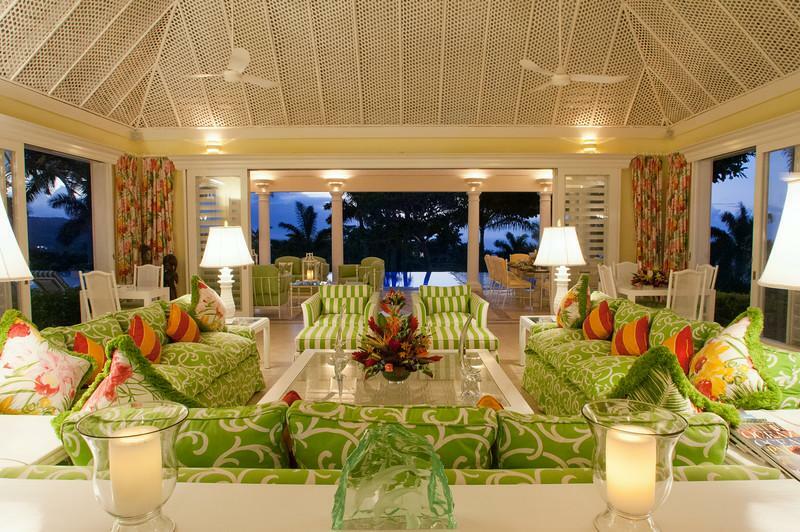 The 8,000 square foot villa has recently been renovated with tasteful décor, thoughtful amenities and every imaginable comfort. 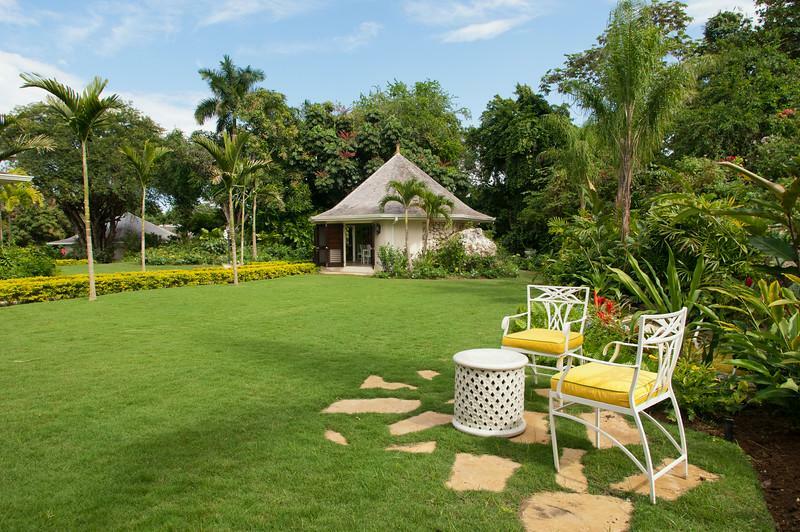 The villa’s architecture is classic Jamaican, with all the rooms opening wide into the gardens, typical for a tropical lifestyle. 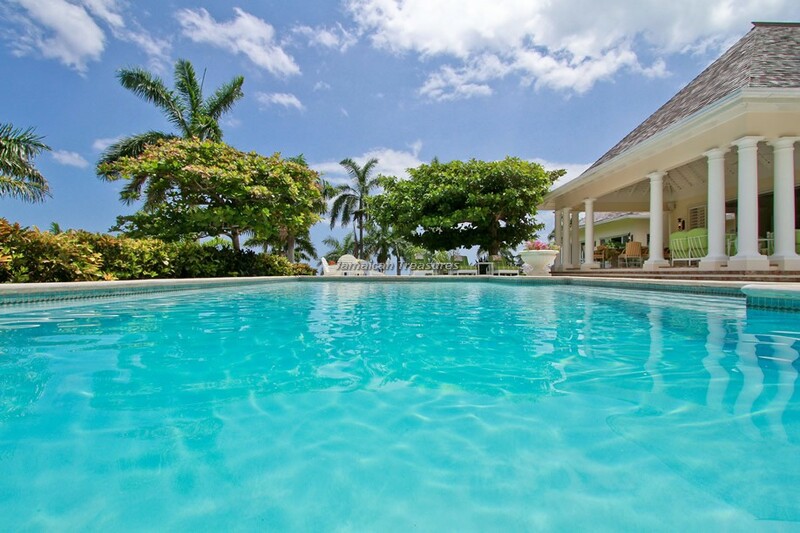 The six bedroom villa is located on seven acres of beautifully landscaped gardens at the prestigious Tryall Club. Following Seas is perched on one of the highest points in Jamaica’s northern coast. Located on the historic Tryall Club, the Jamaica villa provides mesmerizing views of the golf greens and the richly forested mountains of the western Jamaican landscape. 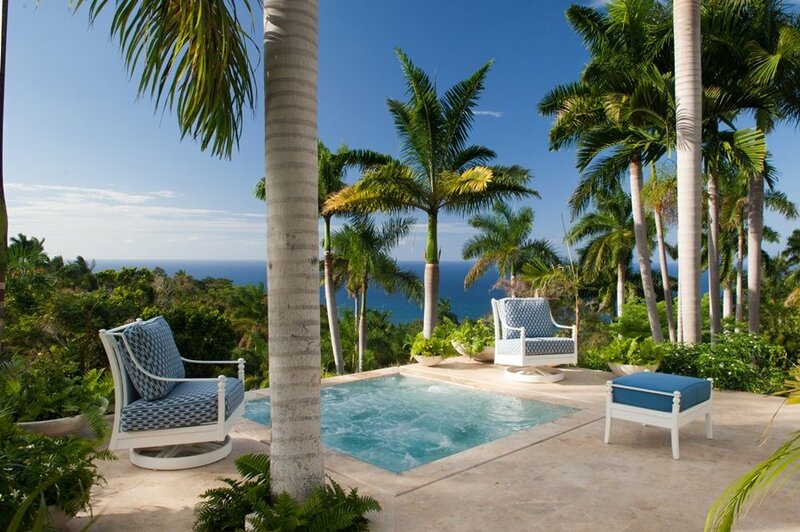 The breathtaking, almost hypnotic views of the sparkling Caribbean Sea form an excellent combination with the elegant ambience of the villa. 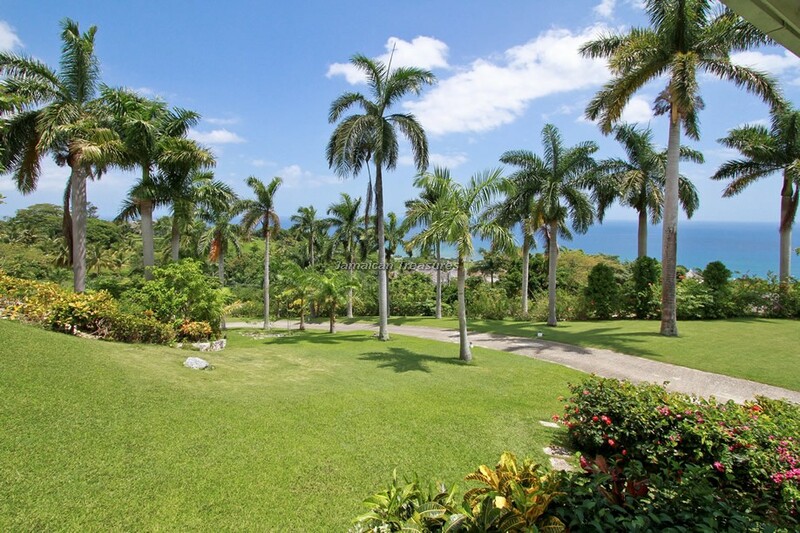 Guests fall in love with Following Seas as they enter the paved entrance lane, lined with majestic royal palms. 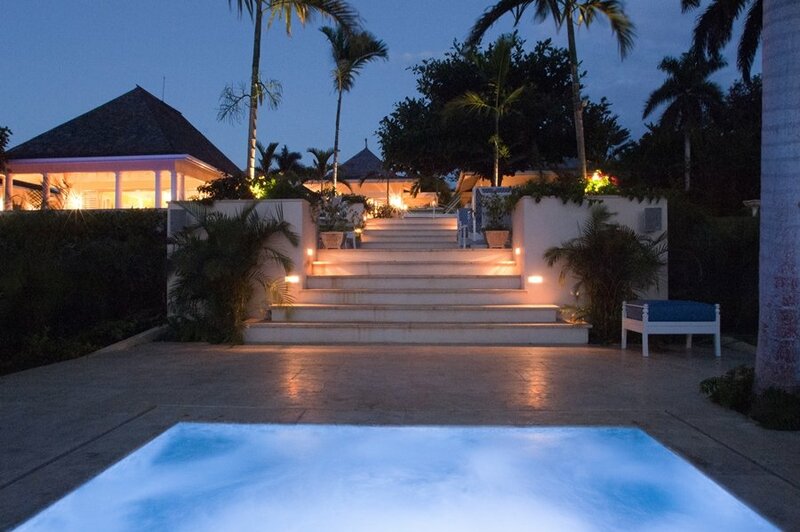 A spectacular spiral staircase welcomes the guests and takes them to the covered verandah with seating and dining arrangements. 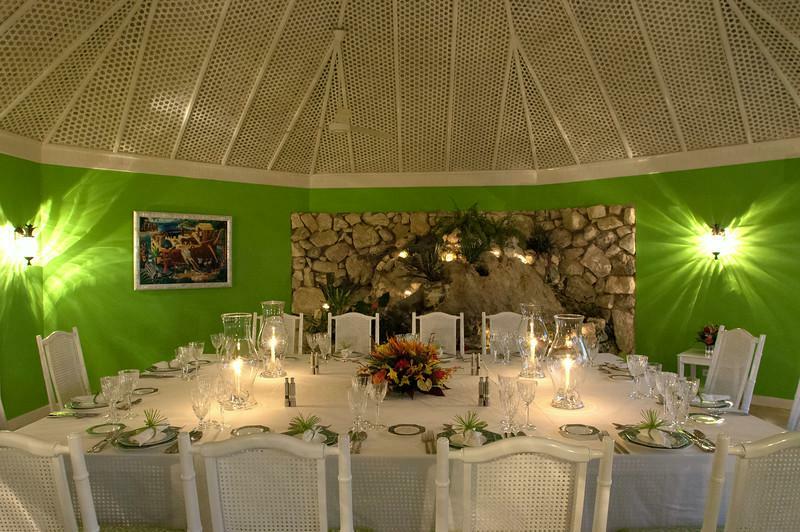 The second dining section is the very charming octagonal gazebo that has been constructed into the natural coral rock located across the lawn from the main villa. 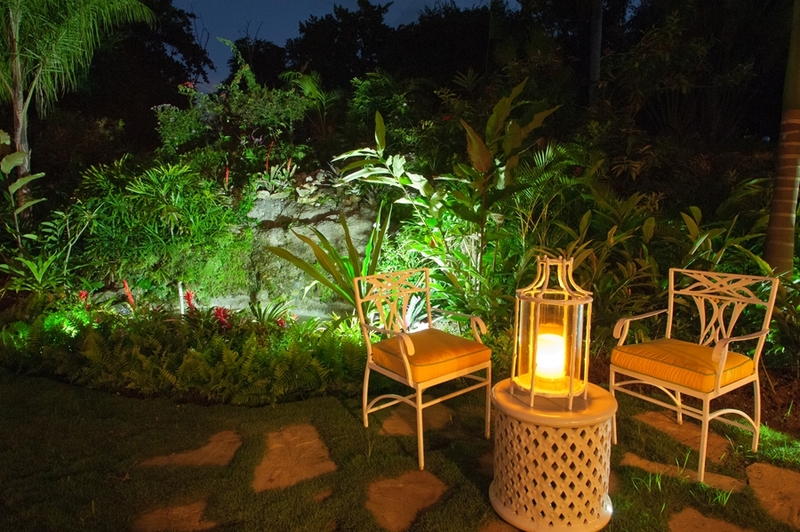 The lovely rock garden inside the gazebo is quite unique and the dining area provides seating for as many as 35 guests. 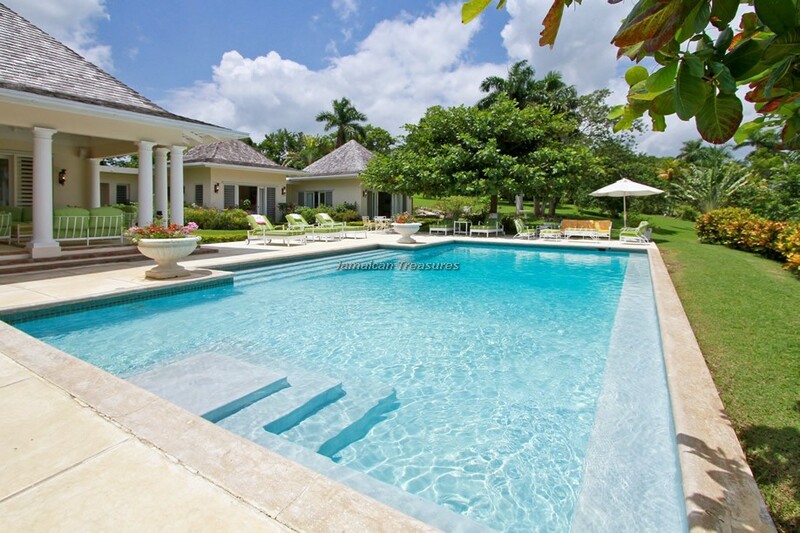 The expansive swimming pool is right beyond the favorite gathering place. 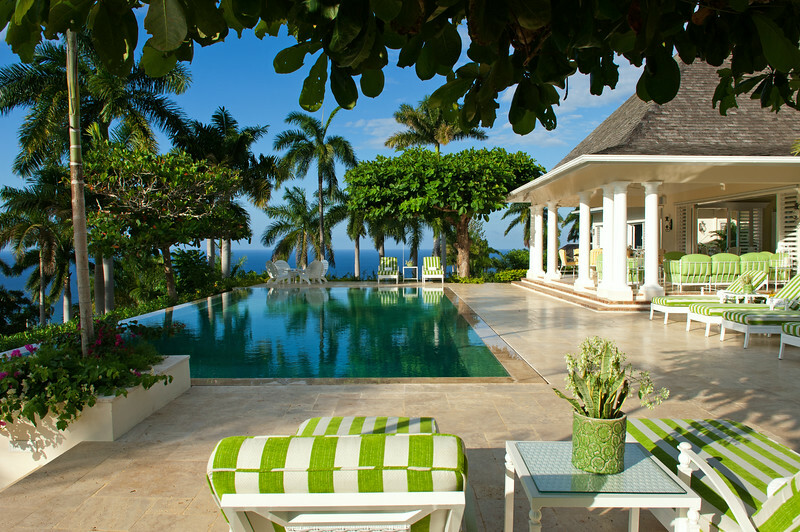 The sparkling pool and the adjoining large terrace provide spectacular views of the dazzling Caribbean Sea. The almond trees surrounding the pool have been cleverly shaped into two tiers, to provide shade to guests around the pool area. 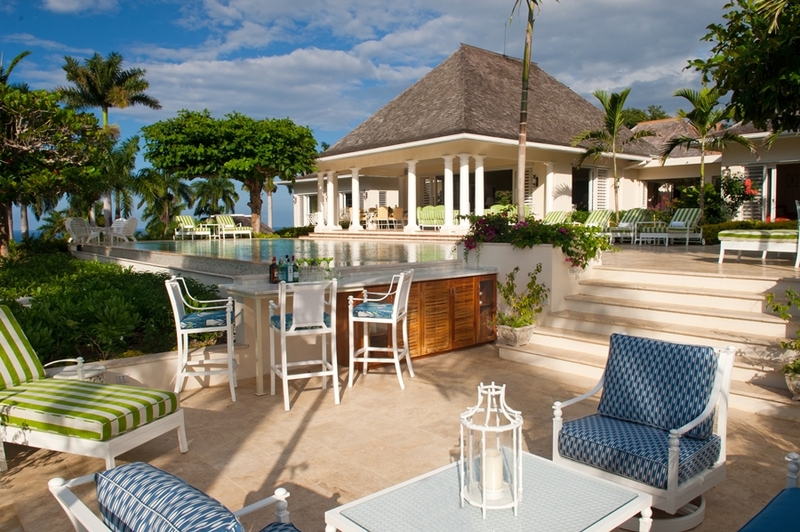 Luxuriant and comfortable poolside lounges with comfortable cushions make sunning a luxury. The state-of-the-art kitchen is well-equipped with all modern amenities expected at luxury villas in Jamaica. 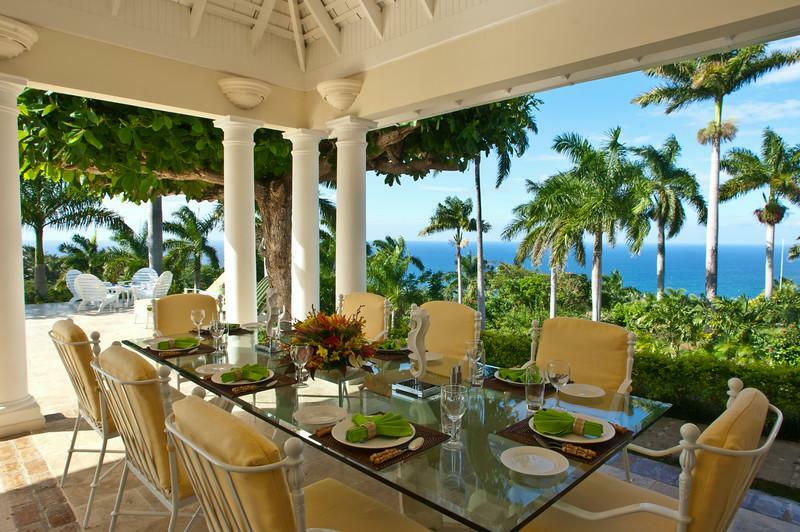 Appetizing, lavish meals are prepared for the guests and for extravagant dinner parties. 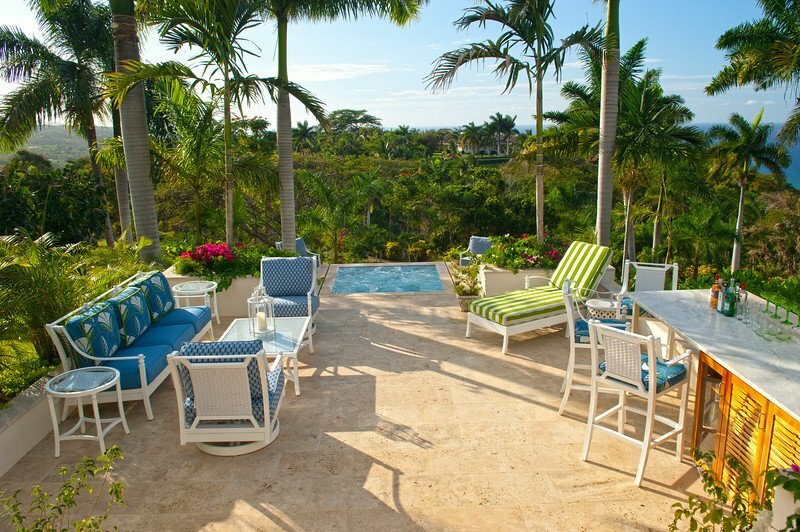 The villa is fully-staffed with seven seasoned personnel, including a butler, chef, housekeepers, laundress and gardener. 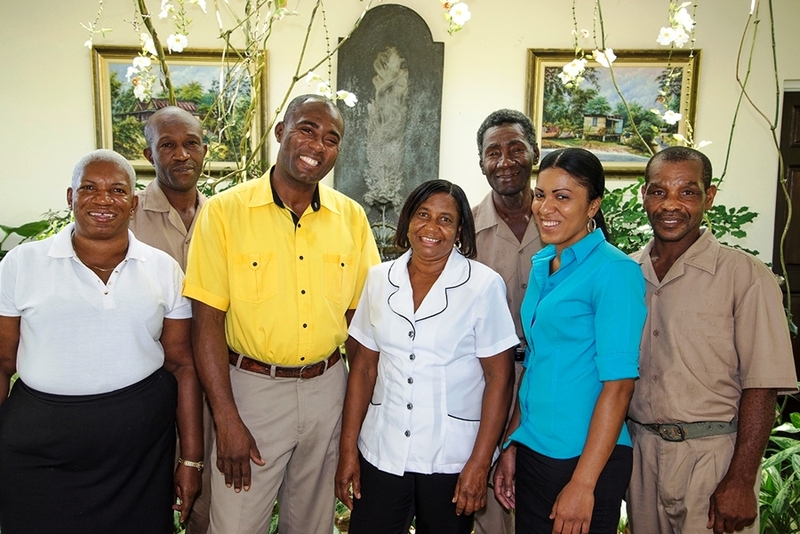 The head butler, Donald, has been with the villa for 23 years, while Monica, the chef has been at the villa for more than 16 years. 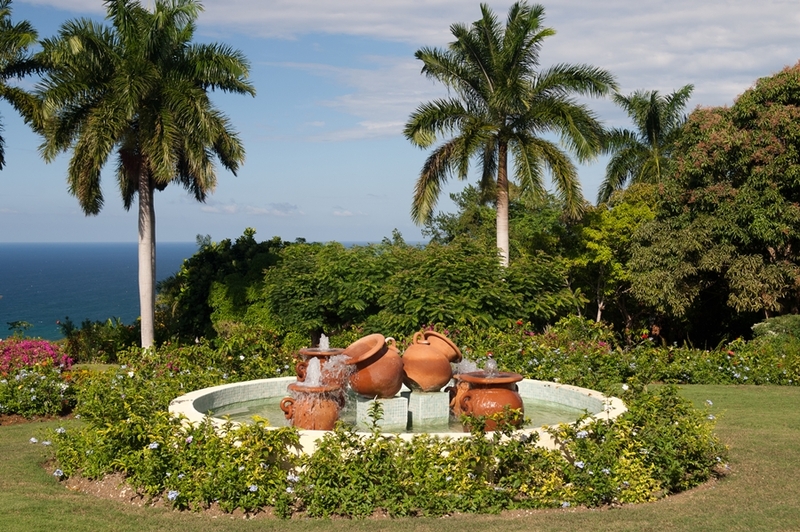 The gardener, George has looked after the gardens at Following Seas for more than 31 years. 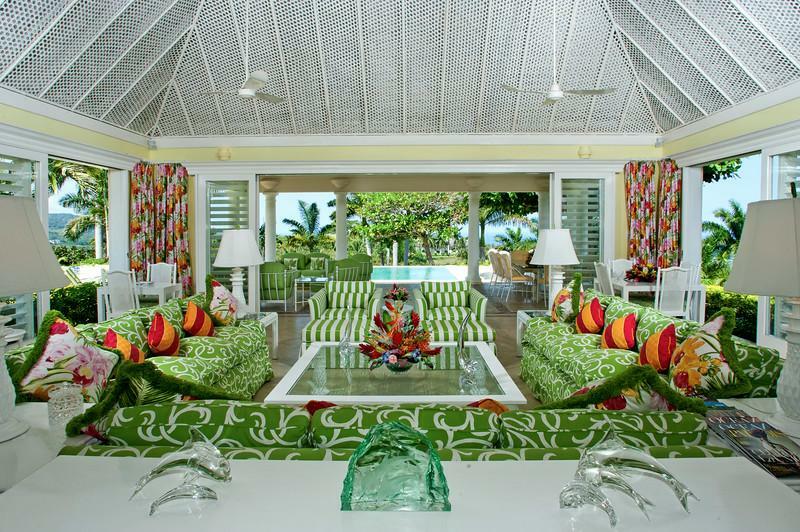 The staff is completely dedicated towards ensuring that the guests have the ultimate holiday experience. 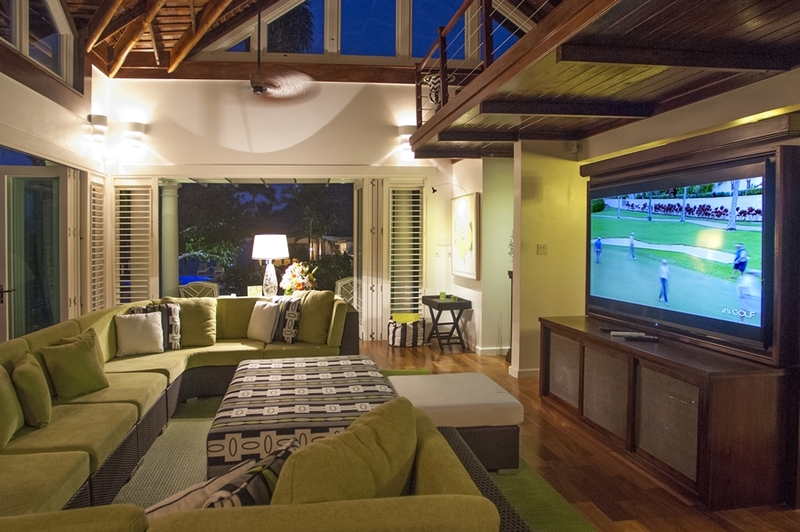 The four bedrooms in the main villa are air-conditioned and are furnished with flat-screen cable televisions. 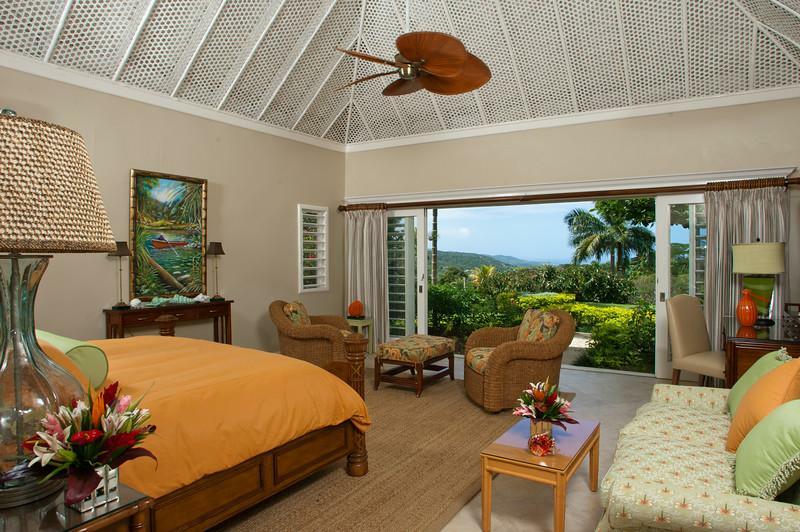 The master bedroom has a majestic four-poster king-sized bed and two en-suite bathrooms and dressing areas. 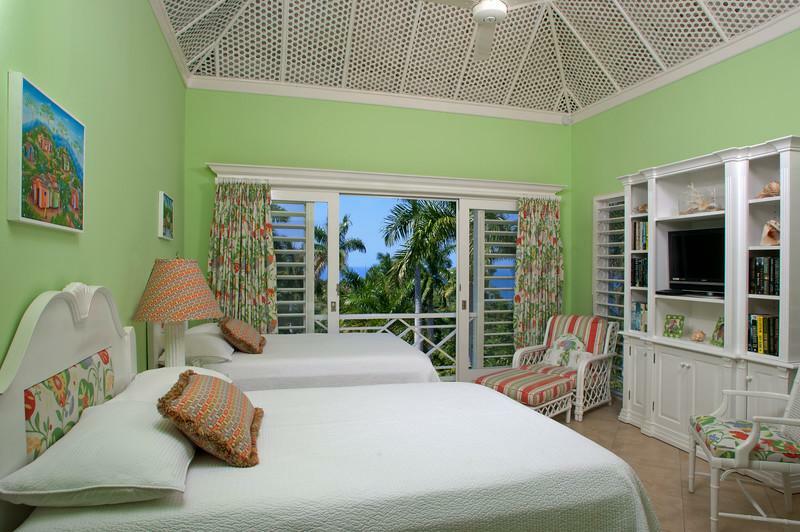 The other three bedrooms are furnished with king-sized or twin beds; have en-suite bathrooms and are air-conditioned. 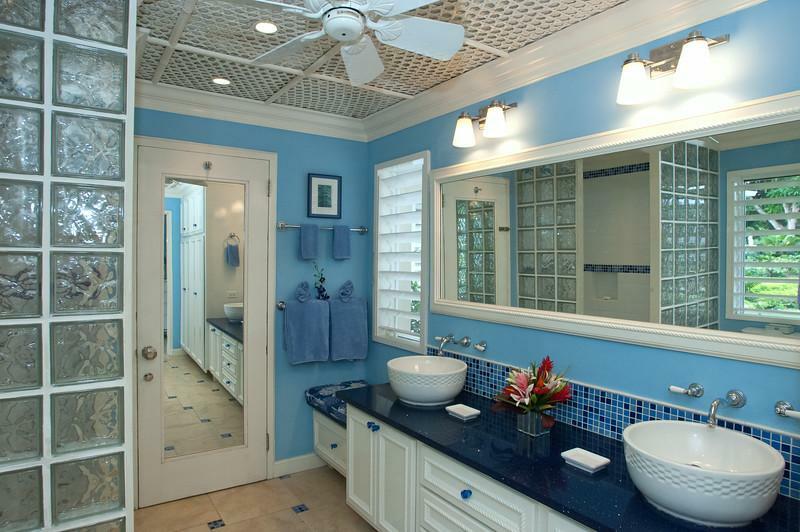 All bedrooms offer cable television. 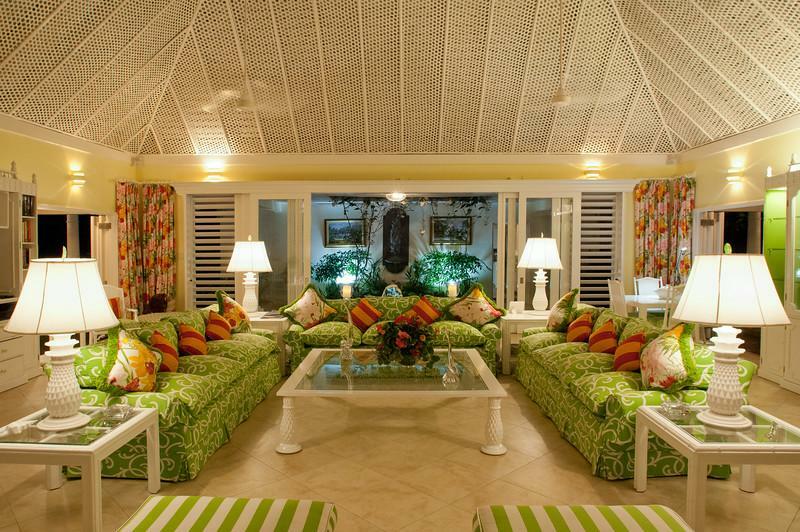 For additional privacy, a delightful two-bedroom cottage is at a short walk from the main villa. 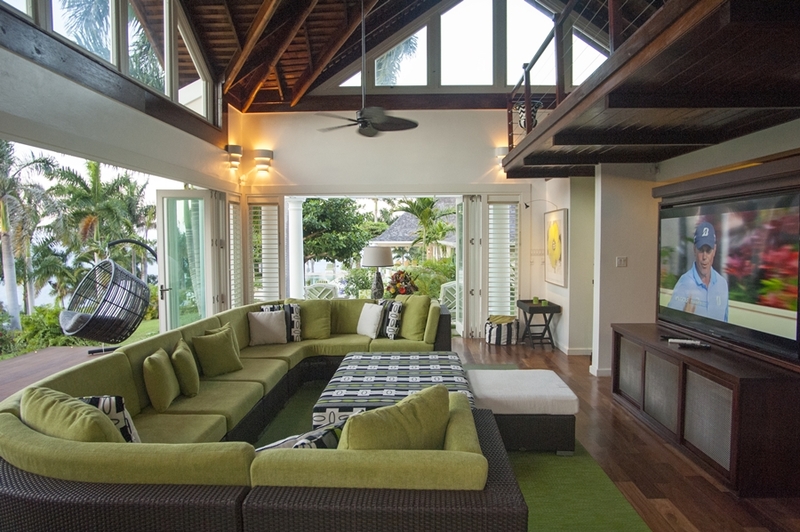 The charming cottage features a living room, sitting and dining areas, two en-suite bathrooms and a kitchenette. 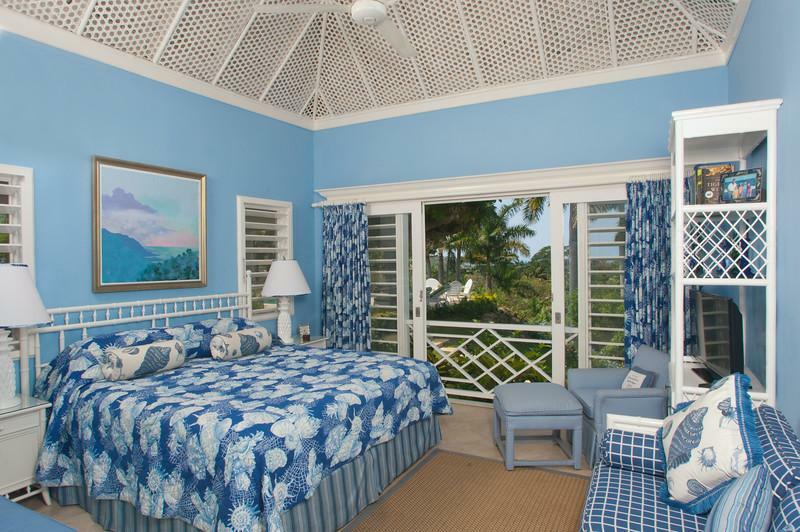 All the rooms provide fantastic views of the ocean. 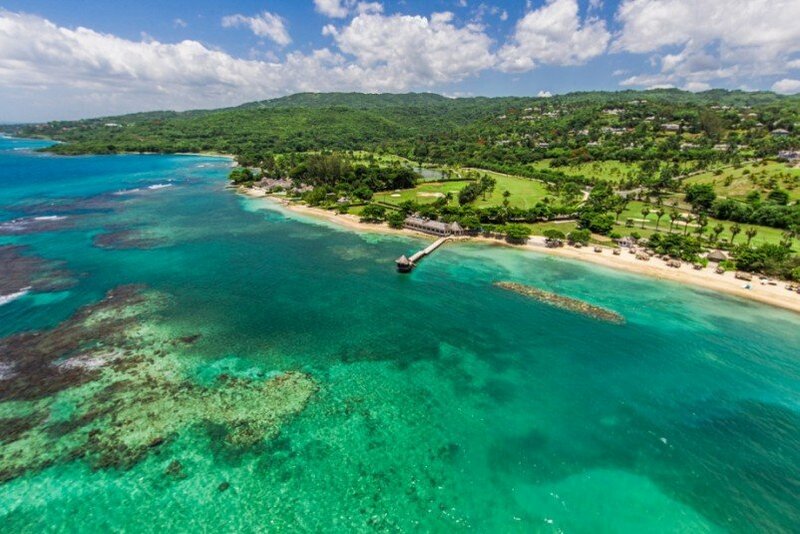 Additional facilities at Following Seas include iPod docks, Sirius radio, wireless Internet, complimentary calls to UK, Canada, the US and most of Europe and 3 complimentary golf carts for transportation around the 2200 acre Tryall resort. 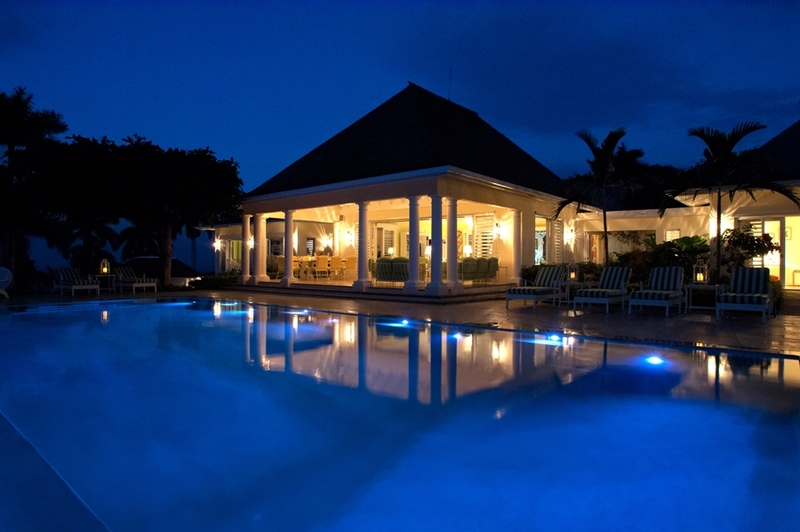 Villa residents also qualify for the Tryall Club membership that provides several complimentary and subsidized entertainment options. 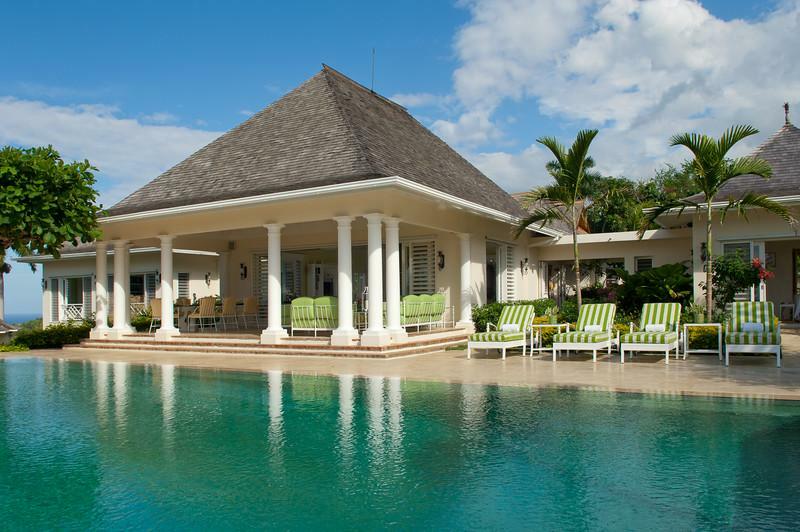 The villa’s pet dogs can be kept at bay at the guests’ request. 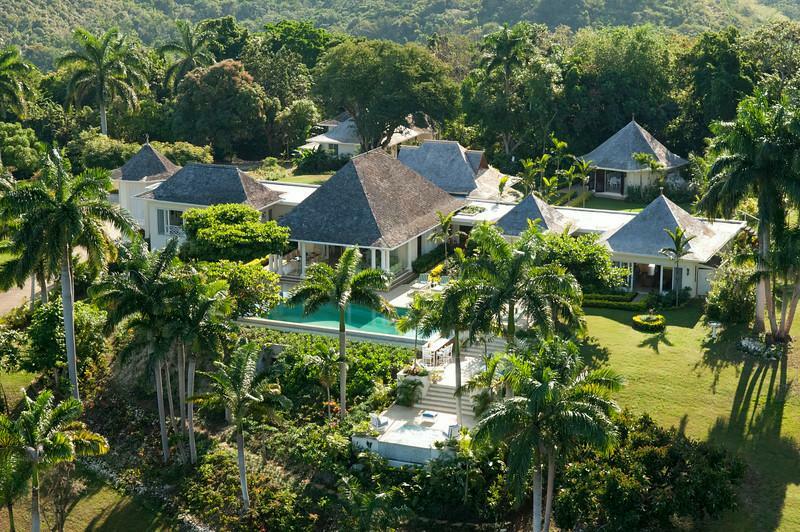 Following Seas is one of the favorite luxury villas Jamaica of illustrious guests, including Jamaican Prime Ministers and the famous country singer, Kenny Rogers. 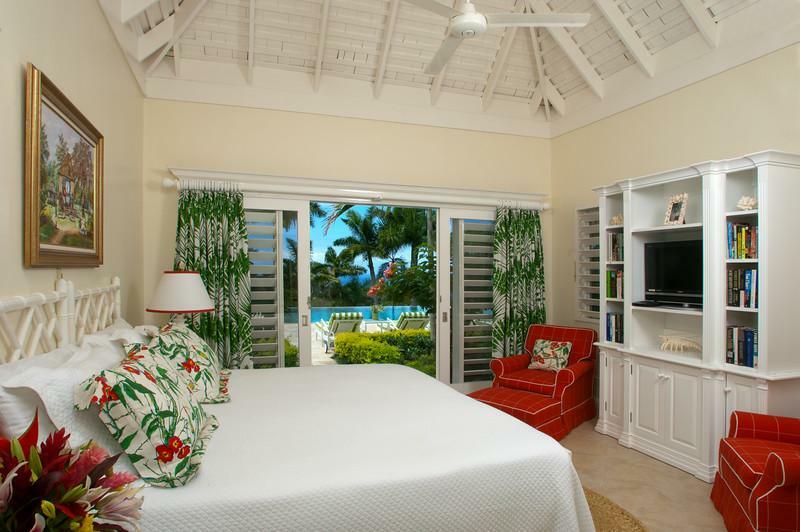 The Main House offers four luxurious bedroom suites. 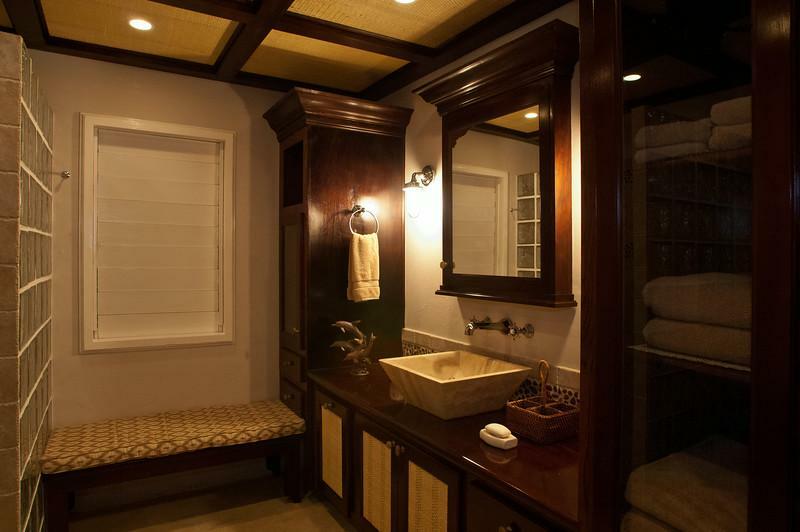 The master suite features a hand-carved four poster king bed and two private "his" and "her" bathrooms and dressing areas. 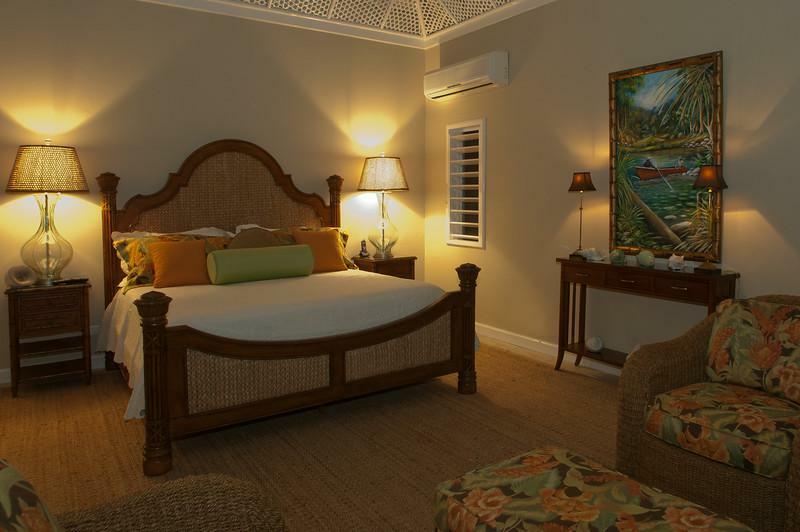 The remaining suites feature one king bed, two full beds and two twins, respectively. All bedrooms have private double bathrooms adorned with the elegance of marble and granite. 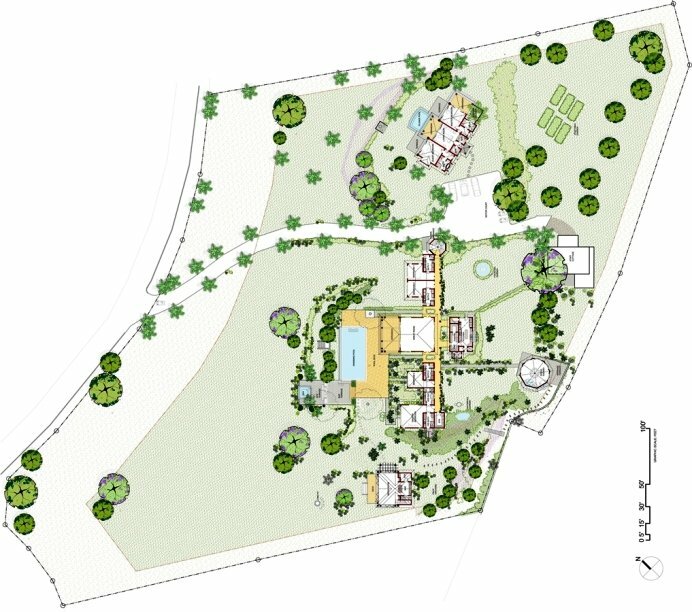 And for added privacy, the Guest Cottage, just off the Main House, features 2 bedrooms (1 king; 1 with 2 full beds), living room, kitchen with breakfast area, and a veranda with seating and dining area. 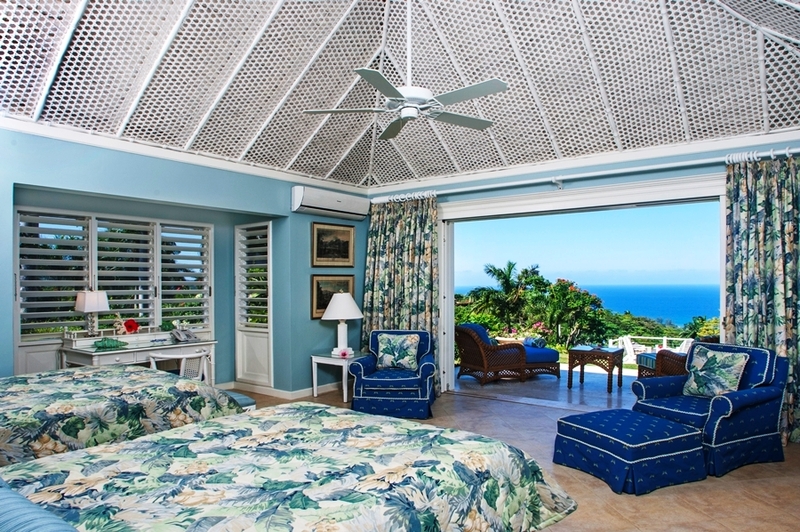 All rooms enjoy full ocean views. 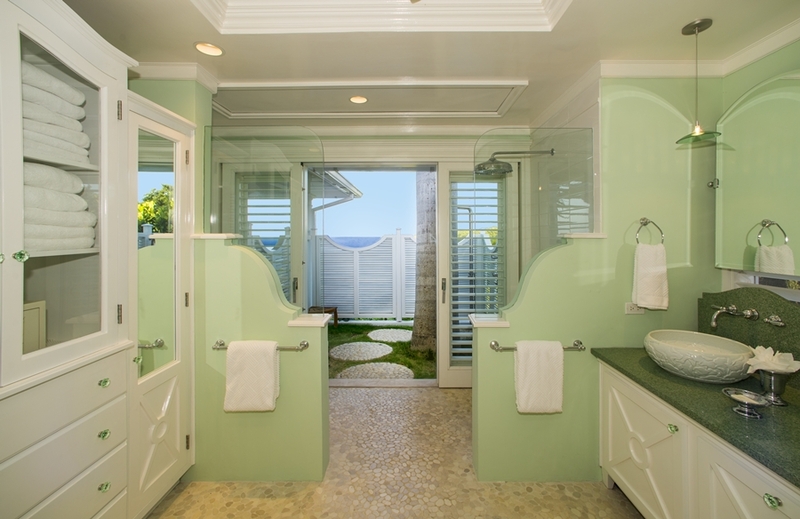 For added convenience, Following Seas is pleased to provide its guests with the use of three complimentary golf carts. 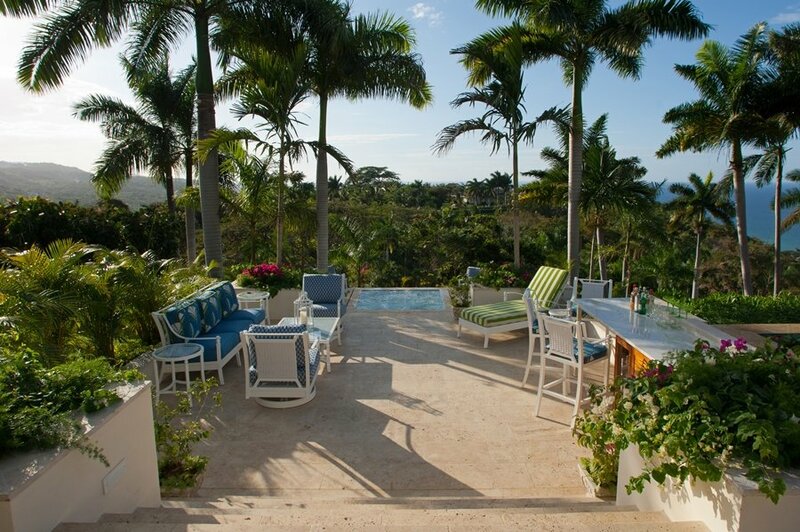 Wonderful outdoor dining and living areas which overlook the ocean and swimming pool. 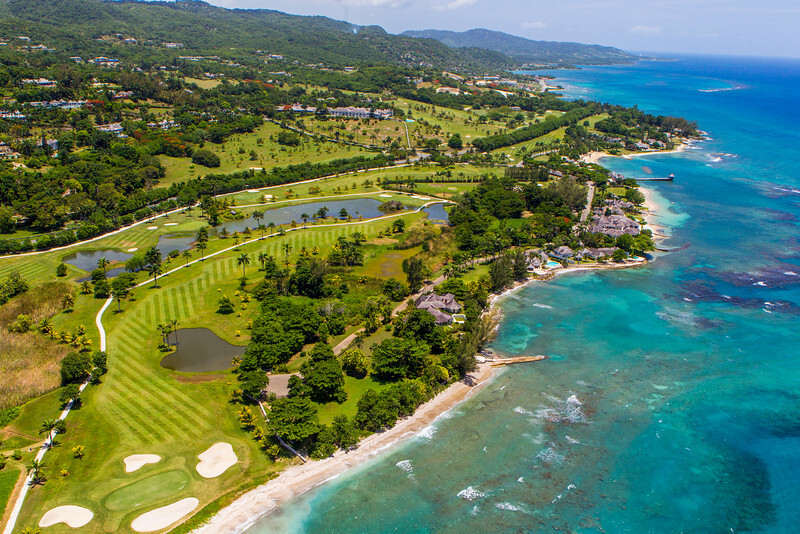 There are 3 golf carts on property and may be used by guests to roam around the 2200 acre Tryall resort. 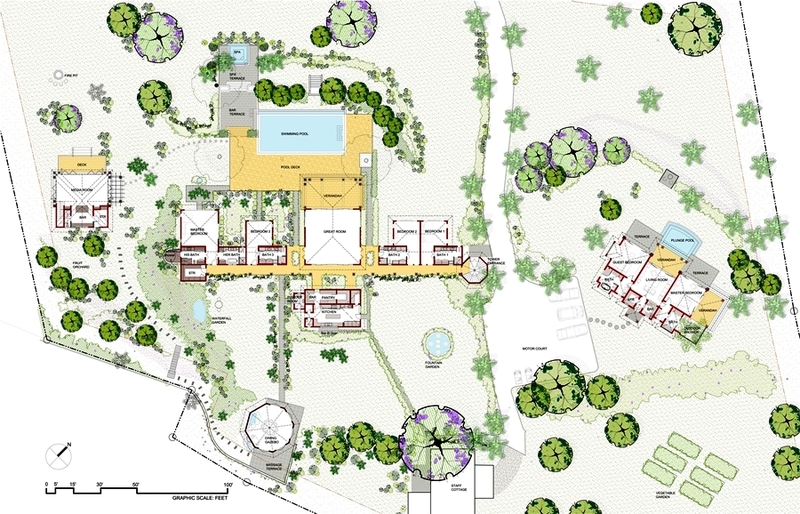 There are wonderful pet dogs on the property which can be kept at bay on the guests requests. 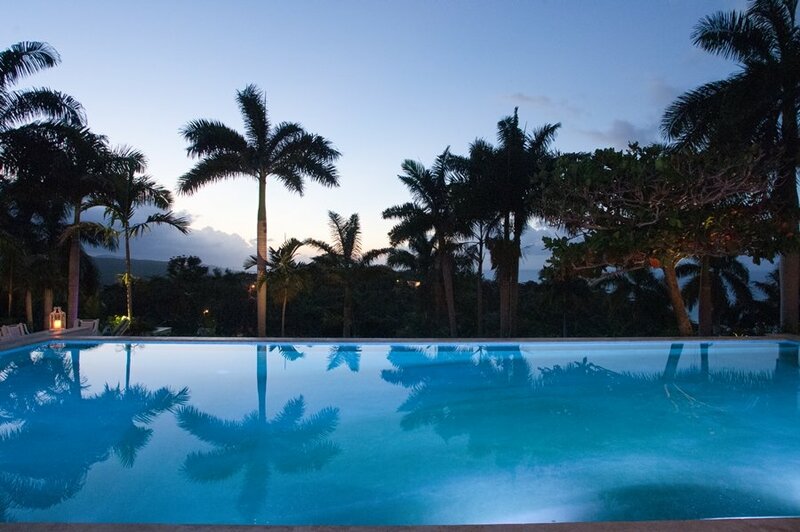 The swimming pool area has the most spectacular views of the soft rolling hills in the Tryall estate, and the wonderful ocean views. George has carefully shaped his almond trees in two tiers and these give wonderful shade to guests who want shade from the sun around the pool area. 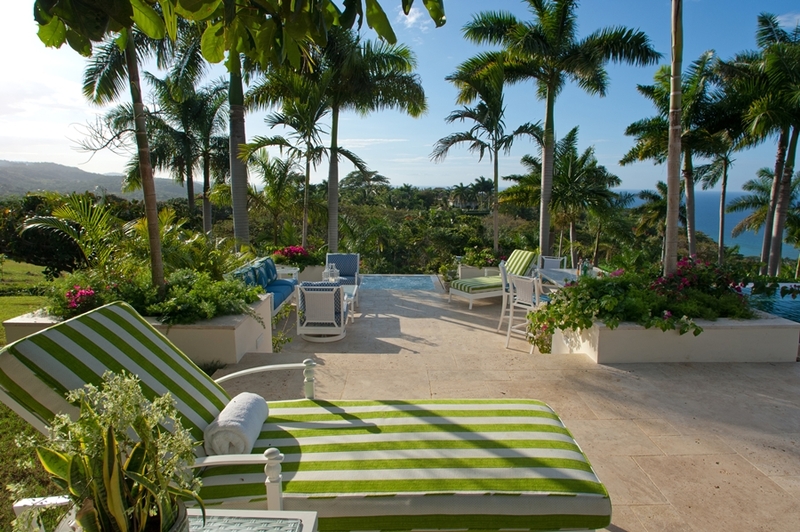 There are very comfortable pool lounges in shades of green and yellow tones with thick cushioned layers to make sure sunning is a luxury! 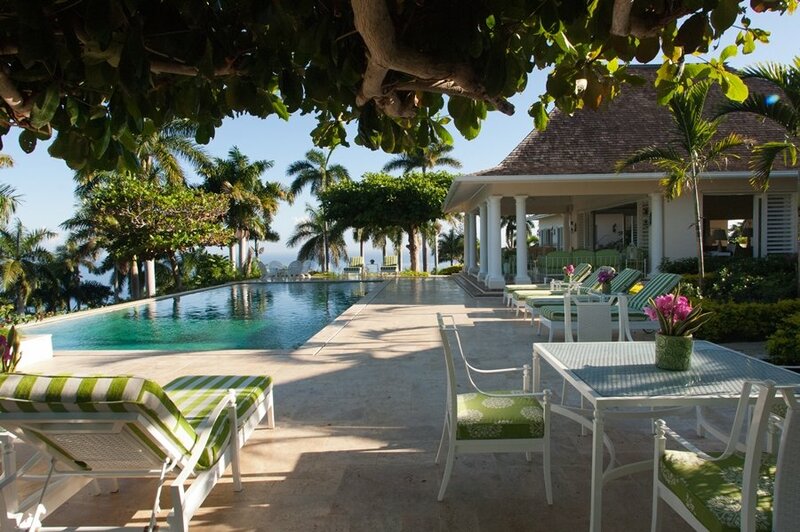 A unique feature of this villa is the charming gazebo octagonal dining room which features a lovely rock garden. 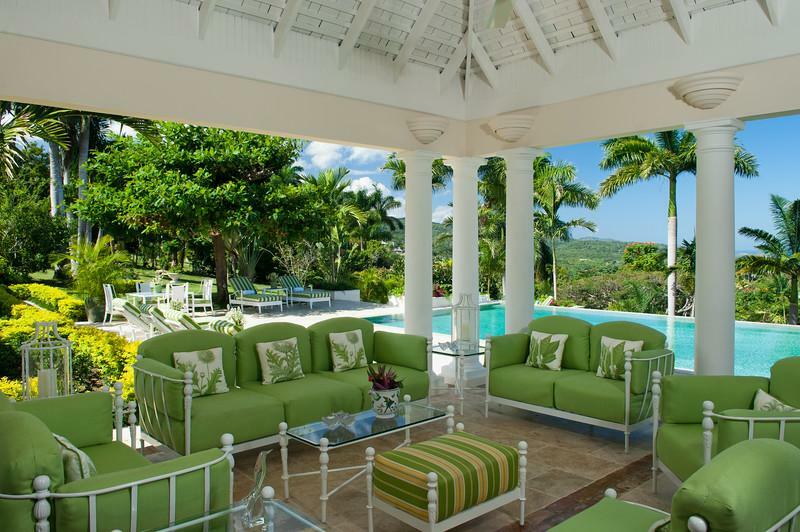 This is located across the manicured lawn from the main house and views from here provide mountain and district views. 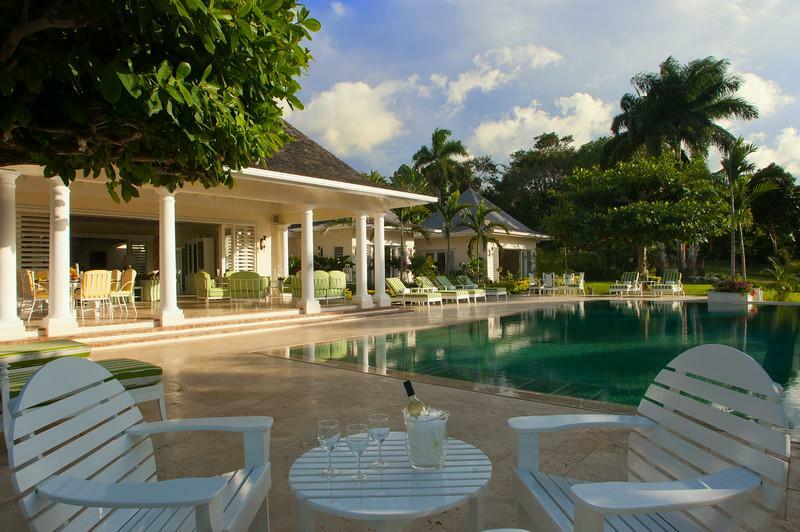 The maximum number of guests in this villa is eight. 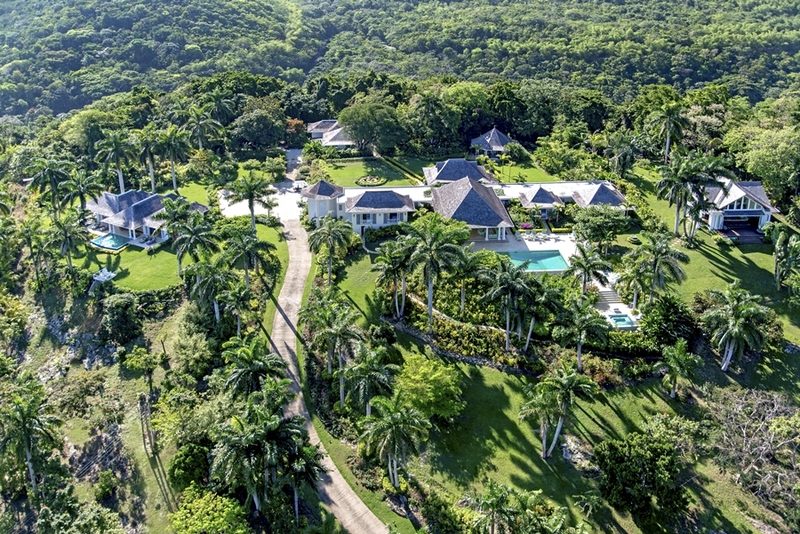 This home has been a favourite of past and present Jamaican Prime Ministers and also the famous country singer, Kenny Rogers. 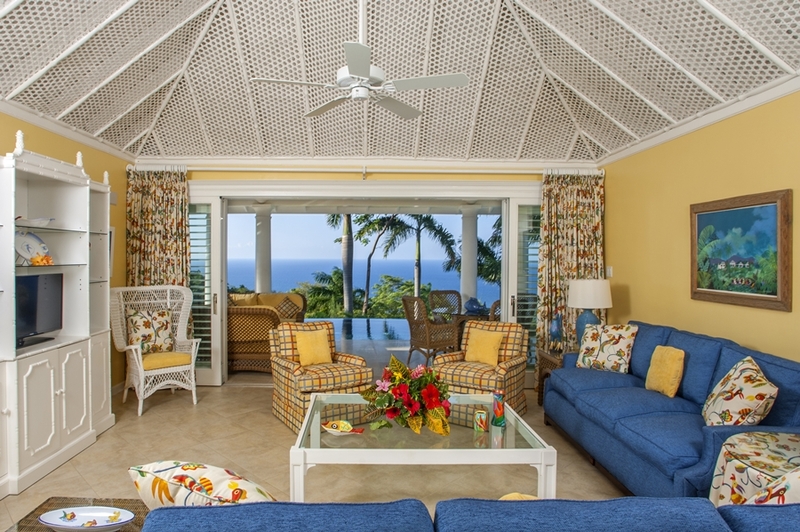 All bedrooms have high-speed wireless internet service, flat screen TV with cable service and internet system. 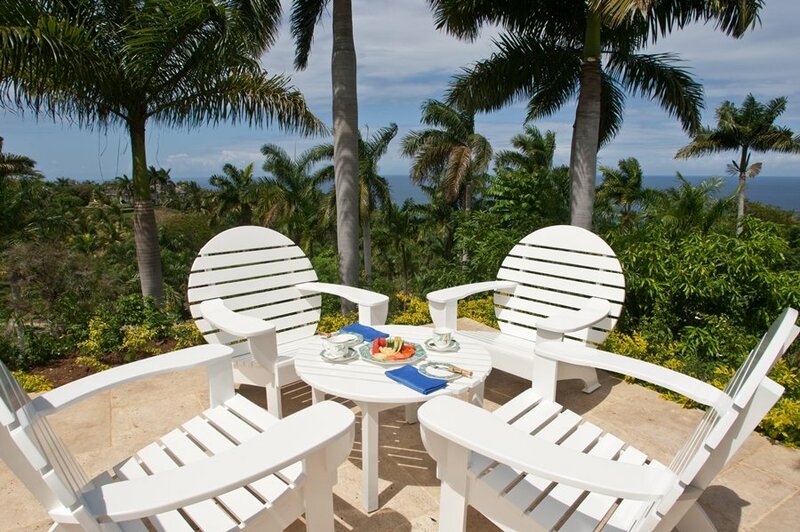 Villa also equipped with Net speak phone line so guests may make international calls to most parts of USA, Canada and Europe at no extra charge. 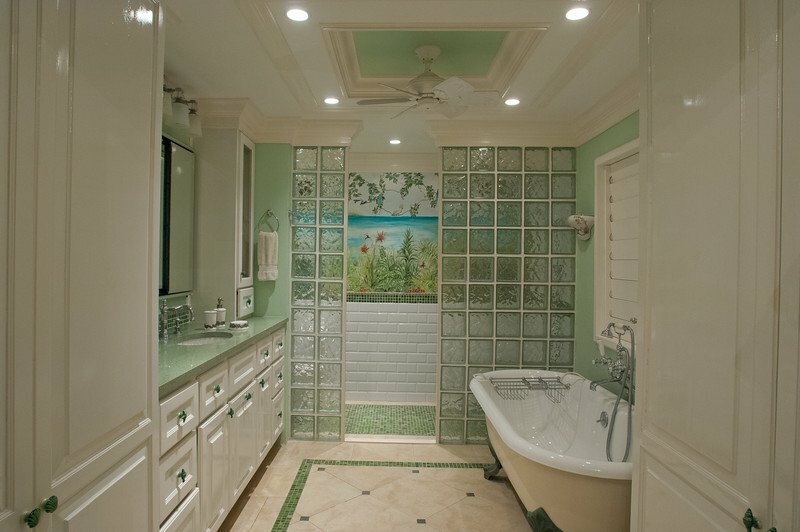 Refundable damage deposit of $3000.00 is required prior to arrival.